The Northernmost land with gold mining rights also happens to have beautiful auroras. Propre lists information for over 10 million properties from 15 countries around the world. I hit on a question of what the property located in the northernmost part of the world out of our current listings is like. 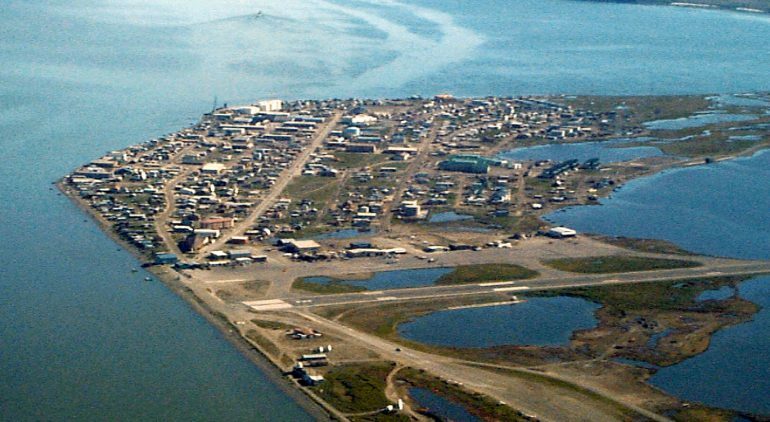 The northernmost property listed on Propre is located in Kotzebue, Alaska of the USA on the tip of the Baldwin Peninsula. Kotzebue is a small town with a population of 3,201 people (as of 2010). Kotzebue is also known as the gateway to Koobac Valley National Park, North Alaska, and the North Pole. It is an extremely cold place with an average temperature of -23.3 °C in the month of February. Not only is the area blanketed in snow in the winter season, but the sea is frozen solid and covered by thick ice. Once the snow melts away in the summer the climate changes to Arctic Tundra. Kotzebue is home to many animals such as the grizzly, polar bear, wolf, elk, reindeer, doll sheep, etc. and musk ox are not uncommon to see. The dry and clear air makes Kotzebue a popular aurora sight-seeing destination. I was able to find several twitter posts of beautiful aurora photos. Furthermore, a video of the Kotzebue sunset in the winter season has been uploaded to YouTube. You can see for yourself what beautiful natural phenomenons this land has to offer. The property is located on the outskirts of Kotzebue and totals 3,484,800 square feet in land area with a lodge, cottage, and gold and gas mining rights included. The price is USD 1,400,000. Taking the immediate area into consideration the price may still seem high. However, given the increasing attention to underground resources in Arctic area these days, the geographical characteristic of the property located within the Noatak National Reserve, the largest gold deposit in Alaska, might justify the price.